AMAZING DEAL ON THIS BEAUTIFUL HOME LOCATED IN GODLEY STATION. THIS BEAUTY IS MINUTES FROM SHOPPING, RESTAURANTS, GULF STREAM, SAVANNAH/HILTON HEAD AIRPORT AND HWY I-95. THIS GORGEOUS HOME FEATURES 4 BEDROOMS, 2.5 BATHS, A SPACIOUS OWNER'S SUITE WITH AN OWNER'S BATH WITH DOUBLE VANITIES, SEPARATE SHOWER, GARDEN TUB & DOUBLE WALK-IN CLOSETS, FULLY EQUIPPED KITCHEN WITH STAINLESS APPLIANCES, BREAKFAST BAR WITH BEAUTIFUL PENDANT LIGHTING, A BREAKFAST AREA, A LIVING ROOM WITH A FIREPLACE & BUILT-IN BOOKSHELVES AND A FORMAL DINING ROOM. 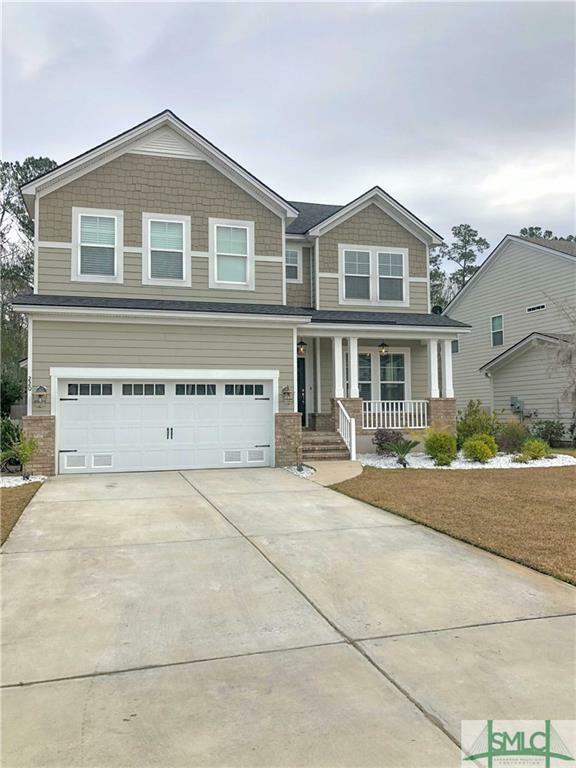 THE UPSTAIRS FEATURES A SPACIOUS LOFT THAT'S GREAT FOR ENTERTAINING OR A CHILDREN'S OASIS, BEAUTIFUL WOOD FLOORS THROUGHOUT THE MAIN FLOOR, CERAMIC TILE IN A BATHS, AN ATTACHED 2 CAR GARAGE, A NICE FRONT & BACK PORCH AND SO MUCH MORE. HURRY! THIS AMAZING DEAL WON'T LAST LONG. Listing courtesy of Sabriya Scott of Scott Realty Professionals. © 2019 Savannah Multi-List Corporation. All rights reserved.